New technologies that promise to improve business efficiency can sometimes be greeted with caution by people in the workplace, the underlying concern being that the technology in question will reduce the requirement for humans and jobs will disappear. However, what often happens with the arrival of a new technology is the opposite – an economy develops with a completely new set of roles and functions. This itself drives increased productivity and growth, resulting in more, not fewer, jobs. When we look at the emerging drone economy, the situation is no different. In PwC’s report Skies Without Limits, it estimated that drone technology would be responsible for a £42bn increase in GDP in the UK by 2030, with £16bn of net cost savings, and that increase would result in the creation of 628,000 jobs that rely on drones. The implications of these figures are clear – the jobs being created will be related to the entire drone value chain, rather than being limited to new commercial drone pilots. Drones unlock previously inaccessible insights which can then reveal completely new perspectives. In the asset management and maintenance sector, drones are proving to be powerful tools which can be quickly and safely deployed to enable engineers to inspect assets. By sending a drone instead of a person to visually inspect an asset, there is a reduction in the level of health and safety risk and in the associated equipment required, resulting in reduced overall operating costs. The data collected by the drone is examined by an engineer from the safety of a screen, either in the field (sometimes combined with “edge” machine learning processing) or back at the office. 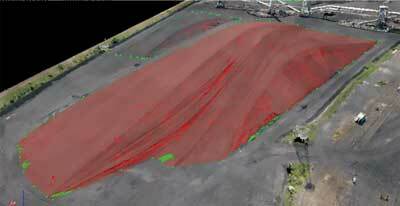 The processed drone data can then be stored on a central system to create an indisputable record regarding the condition of the asset. This record can be used as a baseline to track changes in the asset over time, and therefore help organisations move to a more predictive way of working. An example of how drones can revolutionise ways of working can be seen in a recent global first for PwC, where it conducted a stock count audit using a drone for energy firm RWE. It is all part of a wider drive to harness emerging technologies to improve audit quality and efficiency and transform the audit process. 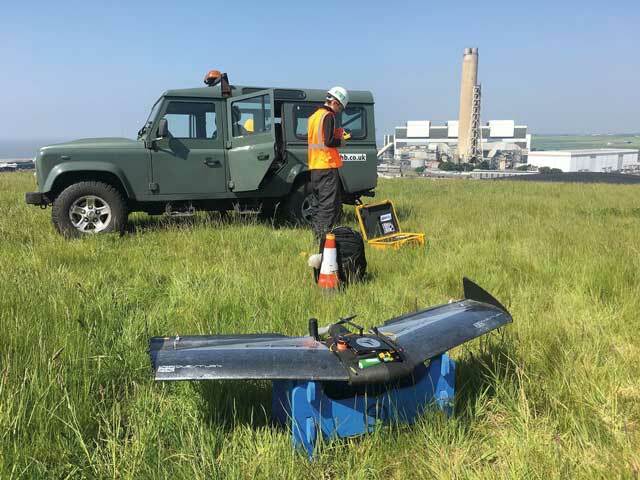 The drone was used to capture over 300 photogrammetric images of the coal reserve at one of the UK’s last remaining coal-fired power stations, in Aberthaw, South Wales. 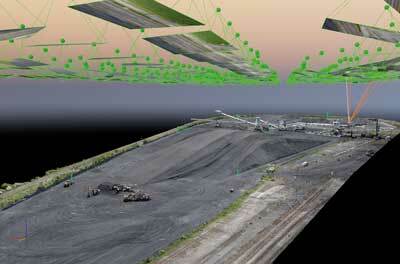 The images from the drone were used to create a point cloud digital twin of the coal pile in order to measure its volume. The value of the coal was calculated to over 99% accuracy based on that volume measurement. The flight did not interrupt normal operations on the coal pile such as movement of machinery, and therefore was a less disruptive method. valuable insights on the health and maintenance of the wider power station assets. A multi-rotor drone was also used to take photos of the wider site, allowing for inspection of the condition of assets that are high or otherwise difficult to access. How vulnerable is our business model to drone-driven disruption, and how soon will that disruption arrive? What game-changing openings are there in our market, and how can we take advantage of them? Do we have the talent, data and technology to do this? How can we build transparency and trust into our drone platforms and applications? Answering these questions will help businesses form the strategic framework necessary to operate in the drone economy. Having assessed the evolving landscape, businesses need to shape and prioritise a strategic response to the rising take-up of drones. This includes asking questions like: how can drones help to achieve business goals? Does the organisation want to be an early adopter or fast follower? How can we integrate drones with our existing digital systems? Is the solution technologically, economically and socially feasible? Developing an intelligent approach to digital is key. Organisations need to balance business understanding with technology innovation and human insight to survive and thrive in the digital age. Making an investment in drones today may look expensive, particularly with no certainty over return on investment. But costs will come down dramatically over the coming years as drone services and the related software become more standardised and commoditised. To make the most effective use of drones, organisations will need to develop a data-driven culture. This will enable drone-captured data to be seamlessly integrated with other digital systems to provide clear insights so that action can be taken at the optimum time. In capitalising on all areas of emerging technology, trust and transparency are critical, and drones are no exception. It is imperative that people feel confident and reassured that the devices flying over their heads are being used responsibly and ethically, particularly as they become more autonomous. Concerns over privacy are real and there is a lot still to do to build trust and confidence. This means any technology-enabled transformation using drones must take account of societal and ethical implications and include steps to build stakeholder trust. Follow these simple steps and your business will be well placed to emerge as a winner from the forthcoming drone revolution – a seismic shift that will bring major implications for the UK’s citizens, industries, economy and employment.